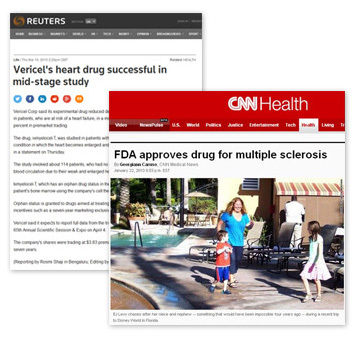 For many of our clients, news coverage in traditional and digital media is a highly effective way to reach and influence different audiences including patients, providers, investors, business partners and other stakeholders. More than ever, reaching an audience through the media requires a multifaceted plan of action that reflects all of the channels now available to access information. We work with reporters from local and national consumer, trade and online media outlets every day. 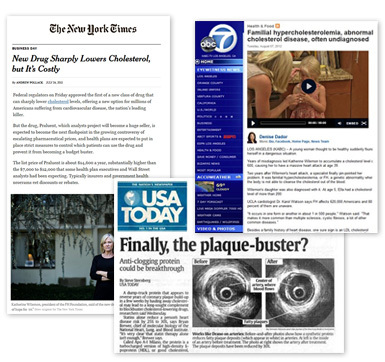 Over the past 20 years we have helped our clients earn news coverage in every media category and in leading outlets such as The New York Times, The Wall Street Journal, Bloomberg, USA Today, Forbes, AP, Reuters, Dow Jones, Business Week, BioCentury, Genetic Engineering News, The Today Show, Good Morning America, CNN and many others. In the rapidly changing world of news delivery, we also now regularly target non-traditional news platforms that present information to millions of people every day, including blogs, social media influencers, news aggregators and message boards. 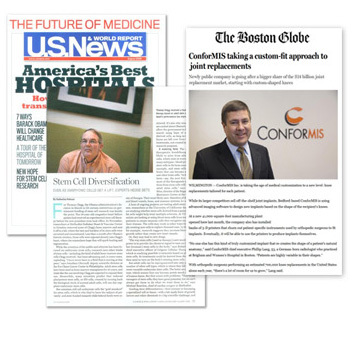 We understand the unique challenges our clients face as they advance products and technologies through all stages of pre-clinical and clinical development. From unbranded programs to raise awareness of emerging health issues to strategies to promote research results and support the approval, launch and long-term commercialization of new products, we have the contacts and creative media strategies that deliver maximum results.